It was April, 2012. The longtime TV host had been hearing rumors about his own departure for months. And while taping what would be his last episode of X-Play on G4TV, Sessler saw executives looming in the corner. The cameras caught it. The snap of his eyes. The sudden turn of his neck. Minutes later, Adam Sessler left the G4 studio. He never came back. ***If you pay any attention to the world of video games, it’s hard not to find yourself drawn to the shaven head of Adam Sessler. Famous for his gravelly voice and outspoken views, Sessler has been one of gaming’s most public figures since he first appeared on television in 1998. Over the past decade and a half, he’s been talking about video games on various channels—ZDTV, then Tech TV, then G4TV—with brutal honesty that has endeared him to tons of gamers. Last April, G4TV fired Sessler. A few months later, he announced that he had taken a job atRevision3, a company that produces web shows and calls itself “the television network for the Internet generation.” His journey has been fascinating and unusual. In February, when Sessler was in New York for the big PlayStation 4 event, I invited him to stop by Kotaku‘s offices. Decked out in a brown fedora, a pink scarf, and the traditional garb of all video game professionals—a t-shirt, a blazer, and jeans—the magnanimous TV host sat with me for a couple of hours to talk about his life, his career, and the strange, confusing circumstances behind his departure from G4. He still doesn’t know why they fired him. ***Adam Sessler was born on August 29, 1973—the same day of the year as Michael Jackson, he likes to point out—in El Cerrito, California, just outside of Berkeley. He went to private school until he turned 13, and then his parents sent him to El Cerrito High School, which was a bit of cultural shock. So, following the high school path of many nerds and future stand-up comics, Sessler decided to take the route of class clown. In 1995, when Sessler graduated from UCLA, he found himself in the midst of a recession. Unable to find work, he flew home to San Francisco. When a friend of a friend called and offered him a job at a local branch of a giant bank, Sessler took it. He had no other options—and money had become a serious problem. “I’m hired in the credit department, and I have no credit,” Sessler said, laughing. At work he’d get calls from Bank of America agents trying to get him to pay off his debts. It was a miserable two-and-a-half years for Sessler, who spent a ton of time worrying that he’d be stuck on the finance career track for life. “When you’re young and in your 20s and you have that job, you don’t have enough life behind you to understand how much is ahead of you,” he now says. He started freaking out, worrying that becoming a banker was his destiny. Even as his co-workers warned him not to stick with a job he hated so much, he thought about giving up. He considered taking accounting classes. Click to viewMeanwhile, Sessler moonlighted as an actor on a San Francisco public access show called Chip Weigh Magnet Down. He found out about a new job through the kind of indirect happenstance that is behind so many big breaks. One of his colleagues had a boyfriend, who had a friend who told Sessler about GameSpot. GameSpot—then owned by media conglomerate Ziff Davis—was looking for a host for the video game show they planned to start on the new channel ZDTV. Sessler was interested, although he hadn’t kept up with gaming—”I was young, it was the 90s, I was in San Francisco,” he told me. “There’s more than enough things to do that don’t involve video games.” So he brushed up on a bit of history, and decided to memorize two names:Resident Evil 2 and Final Fantasy VII. But in what Sessler calls “probably the best coincidence in the world,” it turned out the main audition director was also the woman who ran the public access station, and she loved his show. She’d found one sketch, in which Sessler does his best impresion of Irish dancer Michael Flatley, and she thought it was hilarious. ***Sessler’s first show aired on July 4, 1998. He and his co-host, Lauren Fielder, would produce and air 30 minutes of television every week. They’d preview games, review games, and bring on GameSpot editors like Jeff Gerstmann (now head of the gaming website Giant Bomb) and Greg Kasavin (now a writer at Bastion creator SuperGiant Games) to talk about what they were doing on the site. It was GameSpot TV, after all. The setup was strange, Sessler recalls. The hosts spoke in front of a silhouette of a chained link fence, flanked by TV screens full of flames—”It gave the sense that we were giving reviews at a back alley with burning trash cans,” Sessler says—and most of what they did just echoed GameSpot’s editorial coverage. In the first few years, Sessler guesses they were only reaching something like 10,000 people per episode. But Sessler started to learn how to produce good television, and he started building up his video game chops with the likes of Banjo Kazooie and Spyro. They snagged some pretty solid guests, too. On April 20, 1999, when two students shot up Columbine High School and murdered 13 people, the country immediately looked for some sort of explanation. For many, the scapegoat was video games: both shooters were fans of games like Doom and Wolfenstein. And it changed the way Sessler and his team approached gaming. Word came from up high that they couldn’t show people shooting people in games anymore—not an easy task if you want to put on a TV show about video games. They could barely cover Grand Theft Auto III, for example. They had to find clever ways to talk about games without talking about one of the biggest elements of gaming. In late 1999, an entrepreneur named Paul Allen purchased ZDTV. A year later, he gave it a new name: TechTV. Best known as the co-founder of Microsoft, Allen had a new vision for the shows on this network: nine hours of live technology broadcasting, every single day. GameSpot TV became Extended Play, and there was a ton of turnover as the team tried to master live television. “It was fun, but it cost a lot of money and it really wasn’t generating revenue,” Sessler said. Extended Play stuck around until 2003, when, in an attempt to figure out how to make money off shows about video games, TechTV hired a new executive to head up programming, Greg Brannan. Brannan, a friend and mentor of Sessler’s who passed away last month, decided to give the show a total makeover. They brought in a new co-host, Morgan Webb. They moved it to a later timeslot. They renamed it X-Play. The goal: cut out the kiddie stuff, and make it feel like a late-night talk show about video games, along the lines of Conan or Leno. But at this point, Sessler thought the show would be a disaster. They hadn’t renewed his contract and he was working on a month by month basis, so every day he worried that he might suddenly lose his job. Sessler looks fondly back at this era of X-Play, when it felt like they could do no wrong. Even when they got complaints from fans who didn’t like their sketches, people were watching the show. They had room to be creative. But the bliss didn’t last very long. By the same time the following year, Sessler and his team knew G4 was taking over. And when G4 took over, they gutted X-Play and laid off a ton of staff. G4 wanted them to relocate to Los Angeles, too. In late 2004, not long after Sessler met the woman who would go on to become his wife, he had to move down to southern California. She stayed in San Francisco. On weekends, he’d fly out to be with her, then fly back to L.A. on Sundays—or, Mondays, really, because he’d wake up on Sundays and decide that he wanted to sleep in, so he’d reschedule his flight to Monday morning at 6am. Then there was the musical. The most lavish production they ever put together, X-Play‘s musical episode cost over $1 million to shoot—and nobody watched it, Sessler said. They were then moved out of their Santa Monica studio and dumped in the Comcast building, home of the company’s other channels, like the pop culture junkies at E!. The groups were interspersed throughout the same office, and the people at E! did not get along very well with the people at G4. Sessler and his team were very loud, for example. On top of that, streaming video had just become a thing: services like YouTube were making it possible for anyone to dump trailers or run video reviews at any time. No TV, no networks, no ratings. It felt like something was shifting. The disadvantages of television became ever-so-clear during E3 of 2006, when X-Play arranged to cover Microsoft’s press conference and broadcast it live. There were… issues. To make a bad problem significantly worse, Microsoft’s conference was running late, and G4’s taping was tied to the East Coast. FCC regulations called for a station identification break at midnight Eastern time, no matter what. They’d have to cut off their broadcast even if it meant cutting off the end of Microsoft’s press conference. The end of Microsoft’s 2006 press conference happened to be the reveal trailer for Halo 3. Over the next few years, X-Play‘s ratings just got softer and softer. Sessler and his team had to fight very hard for exclusive content—always an unreliable process—and they found it increasingly difficult to get audiences to wait until evening for what they could see online any time for free. They tried going five days a week. It didn’t work. The show became less funny, less interesting. And when some sort of content—say, an exclusive trailer, or a big preview—didn’t work for whatever reason, Sessler would freak out. It would take another few years, but the end of G4 seemed inevitable. ***On April 19, 2012, Kotaku got a tip from an anonymous source that G4 had no plans to renew Adam Sessler’s contract. They were letting him go. 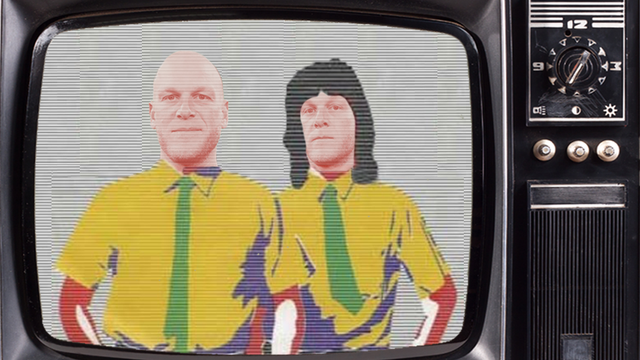 Television personality Adam Sessler and TV network G4 are parting ways, with Adam’s last episode as host of G4’s “X-Play” airing on the network today, Wednesday, April 25. Adam has been hosting the show since it first aired as ZDTV’s “Gamespot TV” in July 1998 and he also served as Editor In Chief of games content at G4. His current projects include starring as himself in the Summer 2012 movie “noobz” and consulting with a film production company on theatrical feature adaptations of video games. Adam intends to stay in front of the camera and continue as a key voice within the games industry. He also sings and is available for weddings and bar mitzvahs. He flew out to the DICE summit in Vegas that February, then found out G4 didn’t want him to do anything there. He then found out that they didn’t want him to cover GDC that March. At this point, Sessler was ready to leave—he wasn’t happy at G4 anymore, he told me—but he thought the show would end with him. He wanted to leave with dignity, not get ousted from the ship he helped build. He felt like they owed him more than this. Back to April. Sessler was on set, taping a show. Just a few minutes before it ended, the head of talent told Sessler that her and the vice president of production were coming downstairs to meet in his dressing room, Sessler told me. And suddenly he knew what was about to happen. His eyes snapped. His head turned. Click to viewSome savvy fans noticed it. They realized something strange had happened. But they had no idea they were looking at the moment Adam Sessler knew he was about to be fired. Even today, Sessler doesn’t know how the rumors started, or why G4 got rid of him, as he pointed out in one amusing tweet last month. I reached out to a few different G4 representatives for an explanation, but I never heard back. Maybe it was inevitable—later in 2012, Esquire announced that they had partnered with G4 parent company NBCUniversal to rebrand G4TV as the Esquire Channel. No more video game coverage. Things are better now. Sessler was approached by a few different outlets, but he eventually decided on Revision3, where he got a swanky “executive producer” title and the freedom to talk, and interview, and rant without having to worry about ratings, or air time, or meddling TV executives. I asked Adam Sessler to send over some photos, and he sent me this GIF, created by a Rev3 staffer. It’s… hypnotizing. And like the rest of the media world, Sessler is starting to adapt to the future. “What sort of things have you started to learn?” I asked. More importantly, the Internet gives Sessler and the rest of the crew at Revision3—a talented group of personalities including Max Scoville and Tara Long—the creative freedom to fail. To make stupid decisions. For Sessler, it’s liberating. He worked in television for 14 years, constrained by that medium’s inherent limitations. Even the one big advantage of television—exposure to a national audience—is getting less relevant: Sessler’s videos on Rev3 regularly net 60, 80, and even 100 thousand views. On April 22, G4 will be no more. But Sessler’s still around. And he’s ready for whatever’s next.